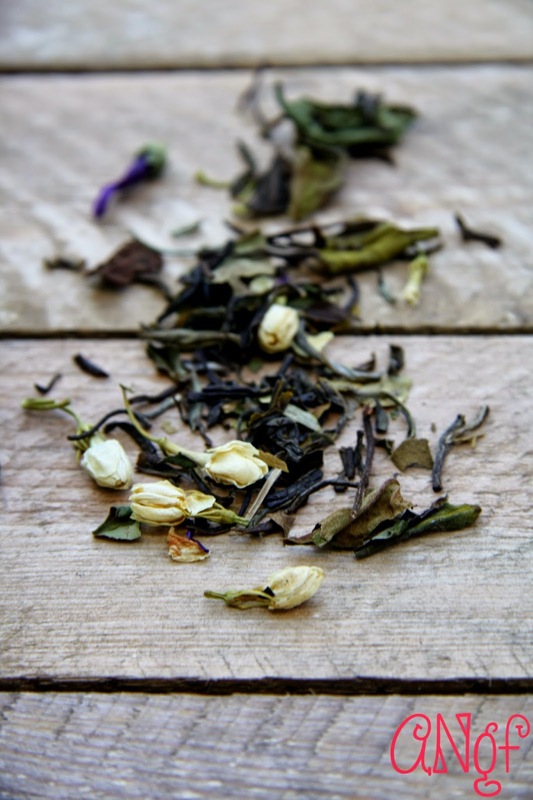 One of the things I love most about this tea is the incredible combination of ingredients that make up this tea. 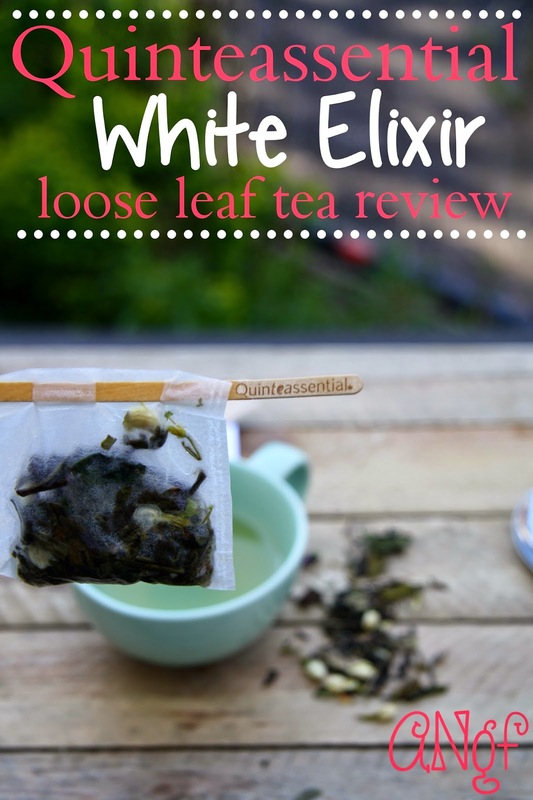 It's white tea infused with Jasmine flowers, gingko leaves and spirulina algae. The last time I had spirulina was in an overpowering chocolate smoothie and I was entirely put off by the taste, so I tasted this tea with a bit of trepidation and I'm pleased to say you can barely detect the spirulina. It's more of a back note to the lovely floral flavours of Jasmine and blue mallow flowers. 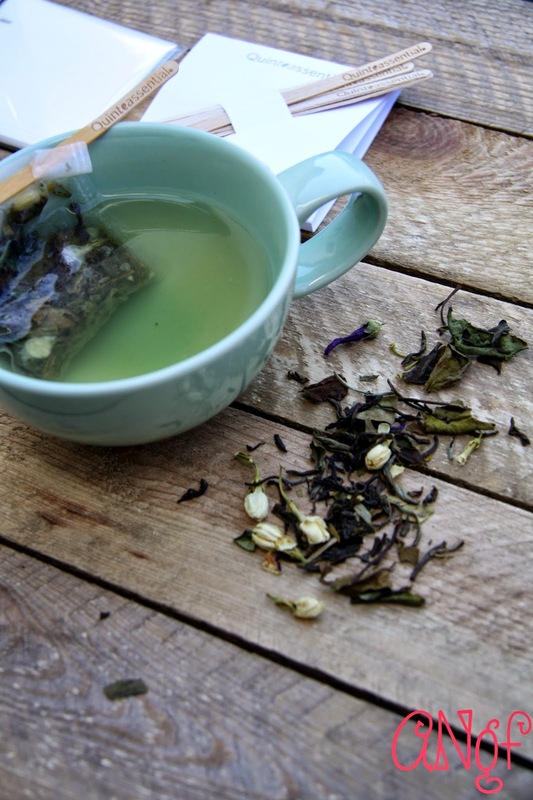 This tea is certainly well-rounded, nicely balanced and it smells absolutely terrific. 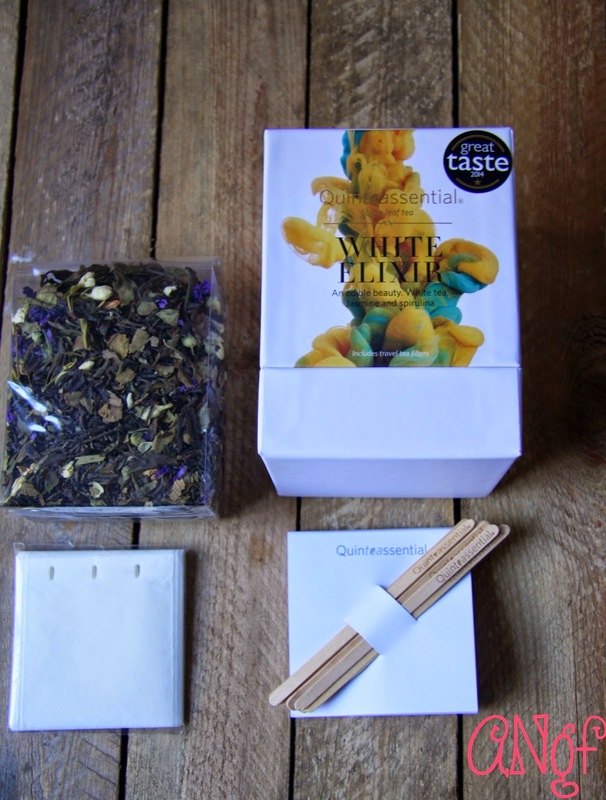 From the moment you open the bag, you begin to smell its lovely scent and the entire tea making process is a sensory experience as you fill the teabags with a teaspoon of the loose leaves, pierce it closed with one of the wooden sticks and let the tea brew for the suggested two minutes. After this, it's up to you how you take it--enjoy it hot or cold, with a squeeze of lemon or a splash of milk. It's simply wonderful. 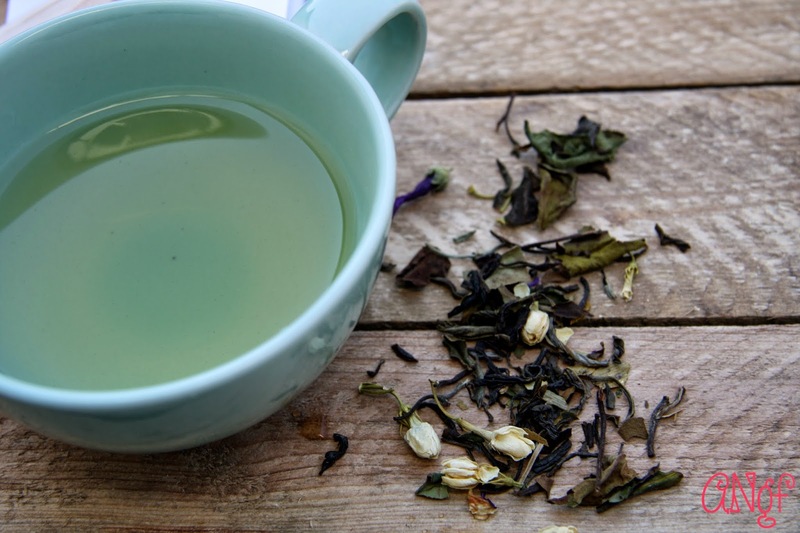 Scoop one teaspoon of loose tea and carefully pour it into one of the tea bags. Fasten the teabag closed with one of the provided sticks. Pour over boiling water and allow to brew for two minutes. Serve to your liking and enjoy.